Transform Your Life, Reclaim Your Freedom! Choose from Retreats & Seminars that is Right for You. Choose Now! Meditation Retreats, Ayahuasca Ceremonies, Couples Seminars, Relationship Counseling Retreats and more. We offer you to start your road to HAPPINESS with this Emotional Healing Retreat in tropical paradise of Costa Rica. During these 7 days you will learn and practice spiritual techniques, get knowledge about working with essential oils for emotional balance, will learn about Access Consciousness Practices, learn Vipassana silent meditation, participate in Ayahuasca Ceremony and more. All these practices brought happiness to many thousands of people. The retreat designed to help you learn what does it take to get in to the state of happiness, to help you work and process your unwanted emotions like grief, anger, sadness and others, to reduce stress and eliminate anxiety from your life. The retreat is organized in the unique highly energetic peaceful setting of South-East of Costa Rica. Located in the mountains with lavish nature, beautiful gardens, gushing waterfalls, lots of amazing birds and animals will make your stay even more relaxed and rejuvenated. It is 7 days of emotional balance retreat with Vipassana Meditation and 1 Ayahuasca Ceremony (optional $150 extra). No reading, writing or electronic use is allowed during the retreat. 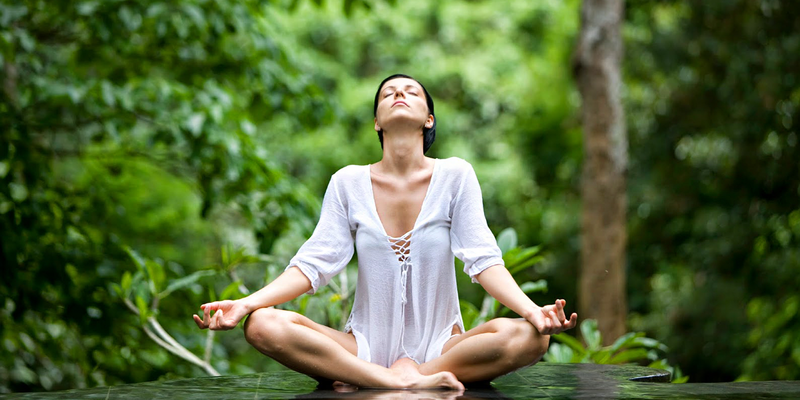 Read more about benefits of the Vipassana Meditation. Why to Join This is Costa Rica Emotional Healing and Stress Reduction Retreat with Vipassana Meditation and Ayahuasca Ceremony. Read more about benefits of the emotional releases for your life. As you probably already discovered though your life experiences, it is not enough just to remove the undesirable events or people from your life. It just won’t eliminate your stress or your negative thoughts or emotions; it definitely, will not make you happy. There are many other steps that you need to do in order to eliminate your undesirable reaction on different life situations, to process your emotions and to reduce stress in your life. The reasons of your unhappiness, stress and anxiety are not those situations or people. The reason is buried inside of your mind. It is your subconscious mind that gives a signal to your mind and body to react to the events with the negative emotions of anger, sadness, grief, jealousy and others; all this will take your body to the stressful state of existence. As you see, it is not enough to eliminate the “stressful” events from your life in order to reduce stress and anxiety. You need to remove the programs from your subconscious mind that make your mind and body to generate those specific reactions. In order to achieve this you can learn some practices that will help you to remove energetic blocks from your body, train your mind, stop unwanted thoughts and other things needed to replace stress with the state of happiness. If you are already taking antidepressants, those practices will help you to get off the medication and to return to the healthy state of mind. During the retreat you will also detoxify your body, by eating fresh fruits and vegetables diet. No meat will be served. This will allow detoxing your body from the unwanted energies, you are getting when you have diet that includes meat, fast food meals and is not prepared daily. And another benefit of the retreat. Don’t be surprise when after your return, you will be complemented on looking very fresh, vibrant and younger. That is the effect of clearing your buried emotions and releasing heavy energies from your field, as well as breathing fresh air, enjoying the nature of Costa Rica and eating healthy food filled with fresh fruits and vegetables. How Does It Get Any Better Than This!? What Will You Learn in Meditation Retreat Costa Rica. During the meditation retreat you will start or continue the practice of forgiveness and forgiveness meditation, which is the first and major step in any process of spiritual development and emotional balance. Without this important step the emotional health is not possible. You will be explained how to forgive, who to forgive and why it is important. You will learn very simple technique to eliminate your unwanted thoughts and stop your mind from vibrating on the same frequency with peoples who has low vibration thoughts patterns of negative thinking. You will clear out your head and will start vibrating on higher frequencies. You will learn and practice silence meditation technique – Vipassana Meditation for emotional releases. Vipassana meditation is the technique that teaches you how to concentrate your mind, how to stay in here and now so you do not react to every life situation or words with negative emotions. How to eliminate cravings or aversions toward anything and stay equanimous in any situation. It will help you to get rid of conditioning system that was pushed on you from the time of birth by society, parents and media. It will teach you how to live happily in positive emotional state. You will understand how to feel your own energy and how to use this knowledge to clear your field of the emotional blocks, to achieve emotional balance. Clearing your emotional baggage will help you to become happier and healthier. You will learn how to help yourself during stressful life situations using essential oils for emotional balance. Accommodation with 2-4 people per room. We are located 3.5 hours drive from San Jose Airport (Juan Santamaría International Airport). Guests typically land in San Jose the night prior to Starting date or at the morning of the first day of the retreat. The pickup time at San Jose at 11:00 am at the 1st day of the retreat. The place of pick up will be announced later. The returned transportation will leave the retreat at 8:30 a.m. at the last day of the retreat with approximate time of arriving to San Jose (SJO) airport will be 1-1:30 p.m. If you are thinking of using this service, please let us know to reserve your spot at least 3 weeks prior to the retreat date, so we can arrange the transportation ( since we need min 5 people in order to do it). There are will be no additional pickups. There is an easy way to travel here by bus service, which we will send you directions, when needed. This retreat will help to heal and de-stress to both genders. In order to keep the cost low, we require full prepayment at registration. Your payment is refundable up to 60 days of retreat date, less $150 processing fee. The payment is not refundable within 60 days before the retreat date. Please register through registration button below. We accept Paypal or check deposit to our account in the US. Meals includes – 3 fresh organic meals per day, no meat, freshly squeezed juices daily, fresh fruits smoothie daily, fresh tropical fruits daily, vegetable dishes, fish, eggs and milk…. will be served. Day 1 is arrival only. The retreat starts at 8:30 a.m. of next day. Please arrange your travel plans according to the retreat schedule. Continue practicing these techniques in your daily life after the retreat, will change your life and will bring in it a lot more happiness. We hope to see you on the retreat and to share this beautiful experience of transformation with us. We need to start living from the heart, living by generating only main feelings: love and compassion. Those are the only 2 real feelings that exists and those are the feelings that will let you live in happiness with yourself and the world around you. Those are the feelings that will save our World and our Planet. All these practices will bring you to self observation, to live your life here and now consciously and to observe everything happening with you throughout your daily life. This is the first step toward you happy existence. Make This Important Step to Your Emotional Freedom and Happiness! Beautiful Villa in the paradise of Costa Rica. Villa was designed for the spiritual retreats by Dr. Walter J. Urban is a Research Psychoanalyst, Medical Board of California, Registration No.7. Private practice, author of Do You Have the Courage to Change and Integrative Therapy: Foundation For Holistic and Self Healing. Dr Walter is over 80 years old and still consulting and performs holistic lifestyle seminars at the villa. You can read about Dr. Walter J. Urban and his practice. Why Choose Costa Rica to Invest in Real Estate?